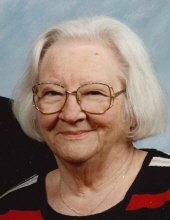 Grace E. Falck, 87, Morrison, passed away Monday evening December 4, 2017. She was born July 7, 1930 in Manitowoc to the late Emil and Ernestine (Brust) Kanter. After her mother’s death, she was raised by her aunt and uncle Bertha and Arnold Shroeder. Grace lived her entire life in the Morrison/Wayside area. On September 27, 1950 she married Franklin Falck at Zion Lutheran Church, Wayside. Grace was a bookkeeper and bus driver for the Morrison Garage which was the family business. She was a 4-H leader and faithful and active member of Zion Lutheran Church, Morrison, where she served in the Ladies Aid and Ladies Choir. She is survived by her children; Keith (Barb) Falck, Steven (Bev) Falck, Jay (Debbie) Falck, Annette (Michael) Konshak, her grandchildren; Ben Konshak, Amy (Eric) DeVault, Stephanie (Pankaj) Falck-Saluja, Jennifer Falck (Zak Noland), Jeremy (Amber) Falck, as well as her great grandchild Danielle DeVault. Grace was preceded in death by her husband Franklin Falck, a grandchild Dan Konshak, her parents, as well as members of Franklin’s family. Friends may call at Zion Lutheran Church, Morrison after 9:30AM Monday December 11, 2017. A service for Grace will take place at 11:00AM with Pastor Randy Ott officiating burial in the parish cemetery. Please go to www.nickelfh.com to send online condolences to the family. NICKEL FUNERAL HOME, Morrison is assisting the family with arrangements. Thank you to special friend and caregiver Diane Suchomoel. To send flowers or a remembrance gift to the family of Grace E. Falck, please visit our Tribute Store. "Email Address" would like to share the life celebration of Grace E. Falck. Click on the "link" to go to share a favorite memory or leave a condolence message for the family.